An inviting open set of table and chairs and a view of the world outside, either by reflection in the beautifully detailed darkened windows of the building exterior, (or intriguingly, perhaps even an interior scene, looking through clear windows to the bright street outside)! Aesthetics? 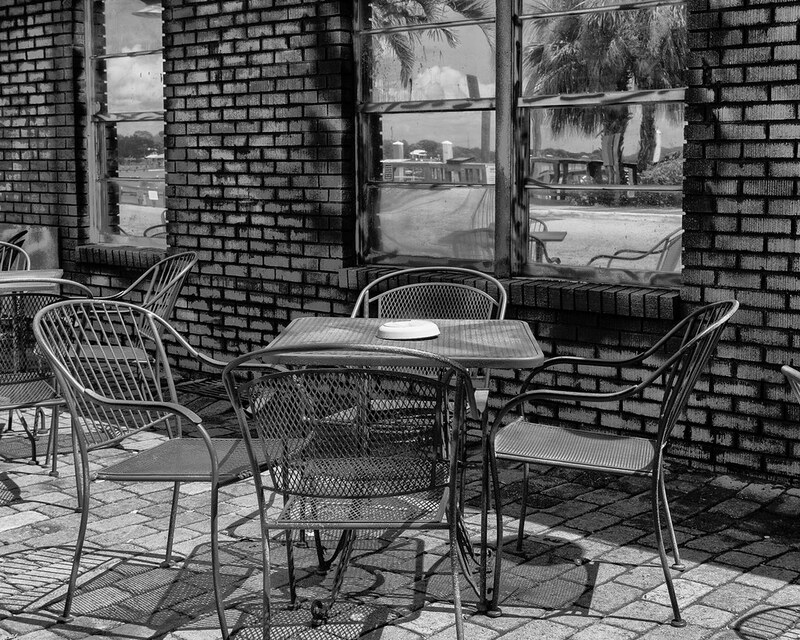 This really works for me in B&W as we can celebrate the form and texture of metal chairs perhaps made in homage to Hans Wegner’s oak and woven straw chairs of the mid 20th Century. B & W was absolutely the right choice here. Color in this case might have made it confusing.The image is really quite alive.